Amber Smith joined Lakeland Toyota in Lakeland, FL, in the summer of 2018. This was only her second job in the auto repair business. 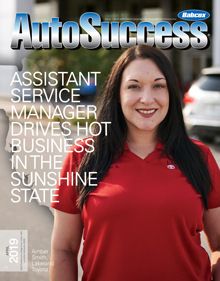 Her first was at another local Toyota dealership where she started to find her passion for automotive service and repair. In less than a year on the job, Smith found two things that she’s now passionate about: fixing cars and helping people. 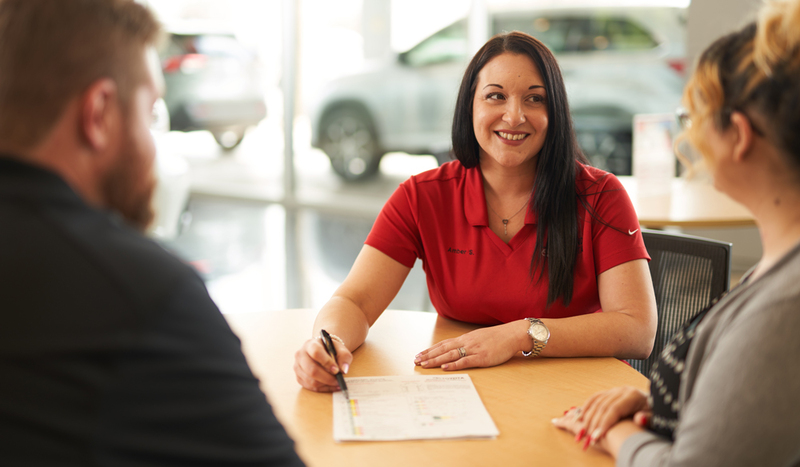 As a Lakeland Toyota assistant service manager, Smith has the opportunity to help the dealership’s customers every day. She recalls an elderly woman who arrived at the dealership’s service center earlier this year, panicked because a warning light came on in her car. The woman’s husband had just recently passed away and she didn’t know what the light meant, so she feared the worst. She pulled into Lakeland Toyota where Smith comforted her and let her know the light was simply signaling that one of her tires was low on air. Moments like this drive Smith to help customers of all backgrounds understand and take care of their vehicles, especially those who don’t traditionally know a lot about cars. “When I started working at Lakeland Toyota, I mentioned the idea of having a women’s car clinic and they said, ‘We love that idea!’” Smith said. On February 21, 2019, Lakeland Toyota hosted their first-ever car care clinic for female drivers, helping them to understand the basics of car maintenance, and to feel more comfortable addressing their vehicles’ needs. Smith believes another way to provide Lakeland Toyota customers with excellent service is by offering convenient payment options on vehicle repairs and service. Synchrony Car Care™ credit card, offering motorists the convenience of one card to pay for comprehensive auto care at more than 500,000 locations across 25 categories — including dealership service departments. 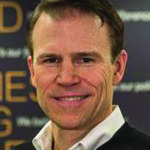 Two months after Smith was hired at Lakeland Toyota, Synchrony Car Care applications increased by around 500 percent at the dealership’s repair center. A few months later, the dealership saw another 300 percent bump in applications. In half a year, it became obvious that Smith was leading the charge and changing how service and repairs were being offered to Lakeland-area drivers. So, what’s her secret? She strongly believes that every customer can find a reason to rely on Promotional Financing. She also believes that offering a financing program, like Synchrony Car Care, is an excellent way to grow incremental business in service centers and repair shops. Lakeland Toyota, like all Synchrony Car Care partner locations, enjoys additional benefits beyond Promotional Financing. Partners are able to tap into Synchrony’s marketing resources for free POP materials, advertising guidelines, customer contact list management and more. Synchrony Car Care program to assist customers and close sales. Along with friendly customer service that treats your customers the way you’d treat them, Synchrony Car Care offers a strong partnership for business growth and success. *For new accounts: Purchase APR is 29.99%. Minimum Interest Charge is $2. **Subject to credit approval. Minimum monthly payments required. See merchant for details.